Time for a little history lesson: 75 years ago a businessman by the name of Henry F. Phillips filed for a patent on a new type of screw and screwdriver. Naturally, he named the new format after himself. The Philips-head screw and matching screwdriver, which was designed to make it easier for machines to assemble things on an assembly line, went on to revolutionize the hand tools market, and became a mandatory addition to every tool set. Speaking of tool sets, how's your's looking? Not as good as it should be, huh? Not really prepared to fix anything in your crib in the event something breaks, we're guessing. No worries, then. 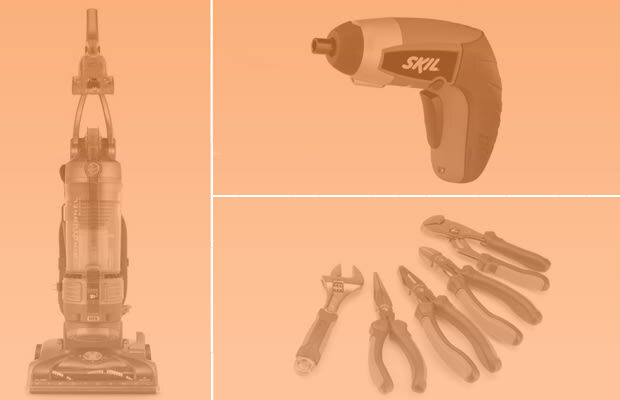 On this historic handyman day, we thought it right to point you dudes into the direction of the 9 Tools Every Guy Should Have.